Those of us who are secondary educators on a block schedule, are wrapping up the first semester...but, what do we do with all those Google Classrooms we made, and what do we do with the student work? Most teachers are "student work hoarders." Meaning that, we like to save everything we've done with a class, for various reasons. Sometimes, you have great student work you'd like to reference later, or sometimes you have an amazing assignment that you'd like to reuse, for whatever reason, we often save everything. Usually, to the point where all our file cabinets are overflowing. With the help of Google we are reducing our paper trail, yet we still want to save our work. 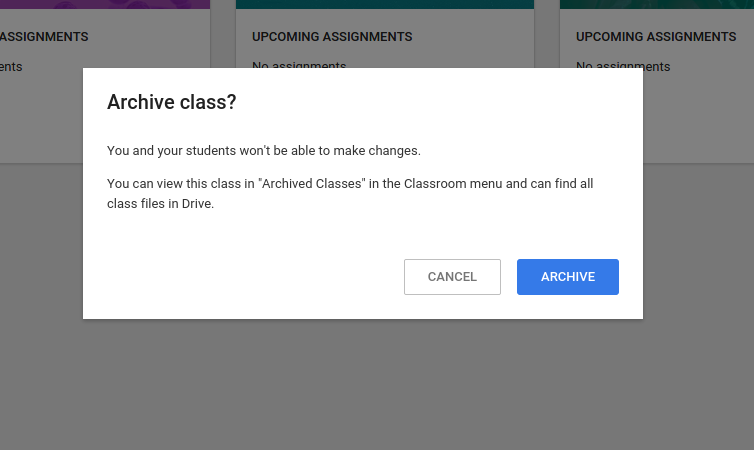 So here is how to Archive your old Google Classroom page. 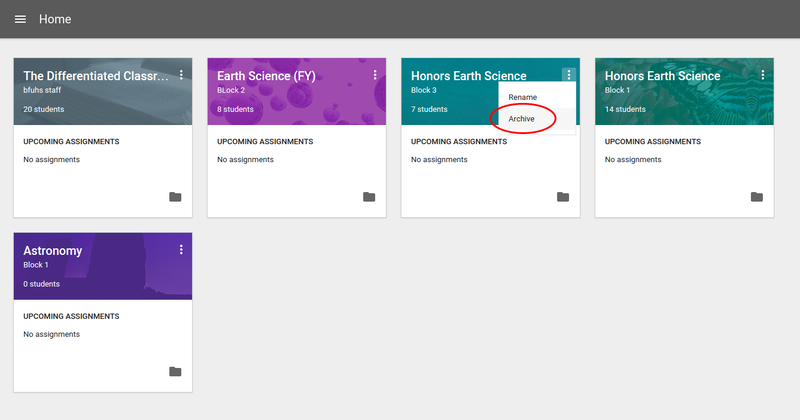 2) On your "Home" page, locate the classroom you want to archive. 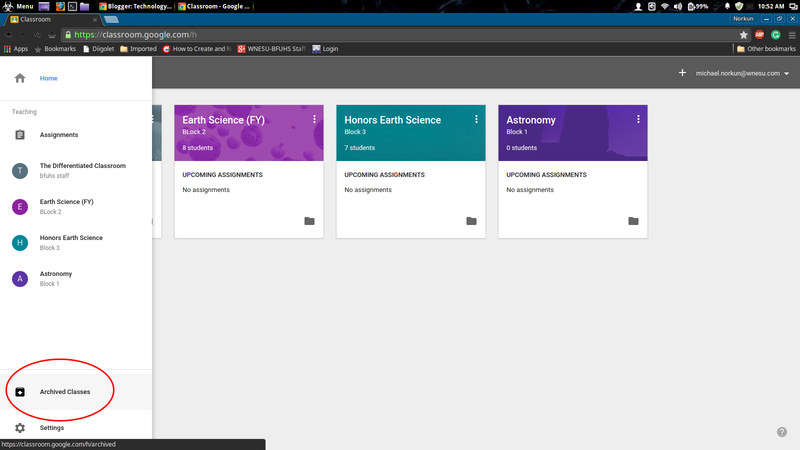 3) Click the three dots in the right-hand corner of the classroom and select archive. 4) You'll see this "warning." 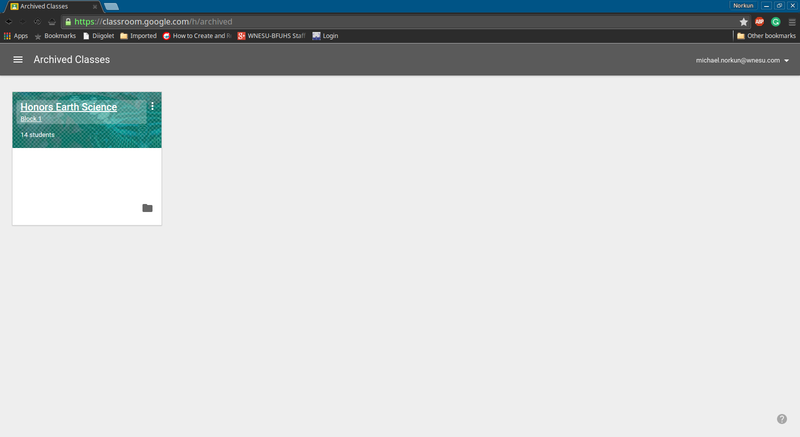 Select "ARCHIVE"
Once archived, you'll have a new menu option nestled under "home" called "Archived Classes." Once you open the archived class, you can still view everything, and there are options to restore the classroom if you need to make changes. Mike, Although I don't use Classroom, I learn so much from your posts about what is available, and your instructions are so detailed and easy to follow. You are right up there with Richard Byrne, in my book! Thanks for the praise. I love reading Richard Byrne's blog, I'll take that as a huge compliment! Final Exam Portfolio's with Google Drive.